Home»Do I Need Garage Door Repairs? Do I Need Garage Door Repairs? It’s easy to take your garage for granted. It’s outside the house and only used when entering and leaving the garage, but time takes its toll on the parts and machinery. Do you need garage door repairs? If you’re asking that question, then the answer is probably yes. 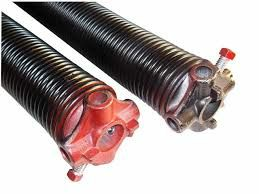 Do you know about garage door torsion spring? It’s possible that you need torsion spring replacement and don’t even know it. A garage is an incredible investment for your home, but only if the garage door opens smoothly and doesn’t sound like a freight train. The garage door and the opening mechanism are standard for most homes. The door is made from various compounds from wood to aluminum. Doors made from heavier materials such as wood cause openers to need repair faster. The weight adds strain to the opener. The downside is lighter weights are more prone to damage and aren’t as sturdy. The door is attached to a track and the mechanism to lift the door relies on one of two types of spring: extension and torsion. The mechanics have changed little through the decades. The system is based on the concept of counterbalance. The door is the primary weight and the springs create a force that offsets the weight. With an extension spring, there are springs attached to the bottom corners of the door as well as cables. The cables are connected to the opening mechanism. When the door is closed, the springs are pulled taught and assist in lifting the door when opened. Most modern garage doors use torsion springs. The springs are mounted above the door opening horizontally. When the door goes down, cables connected to the door bottom wind up the springs to create stored energy. Opening the door causes the springs to unwind and help lift the door. When Do I Need Garage Door Repair? The act of raising and lowering the door through the years puts stress on the springs and cables. You’ll notice the door rising slower or the opener might be louder because it’s straining to raise the door. The springs stretch out through the years, so they lack the energy required to raise the door. Eventually, the spring will either break from the strain or stretch so much the door no longer opens all the way. Garage door torsion spring replacement is one of the most common repairs to make because they take the brunt of the work. If you need garage door springs, then we have everything you need. Garage door spring replacement costs really depend on whether you hire someone or do it yourself. We have provided videos to help you do it yourself and you can check them out here. The springs aren’t the only parts of the garage door system that may need repairs. You have the physical mechanism that pulls the cables and opens the door. The opened is a receiver of radio signals sent from your garage door remote. If it’s not working, then it could be you need to replace the remote batteries. If it’s still not opening, then you’ll either need a new remote or the opener is malfunctioning. If the problem is with the physical garage door opener, then your best bet is replacement. If the strain is too much, then the motor could go out. If the cables are squeaking, then you might need oil to loosen them up. The largest part of the system is the actual garage door. Repair work depends a lot on the type of door you have. If you’ve got a wooden door, then you’ll need to occasionally repaint and clean it. Metallic doors can become rusted if exposed to water over several years. Garage doors take a lot of abuse from the constant up and down to the occasional car accident. Other than the occasional paint job or rust cover up, the only repairs would be to damage. The last thing you want is your garage door not opening in the middle of a rain storm or blizzard. Head out and check your garage door springs now before it’s an emergency. We can help you choose the best spring for your garage door and you can check out our videos to see how to install it. We’re here to help, so contact us now.